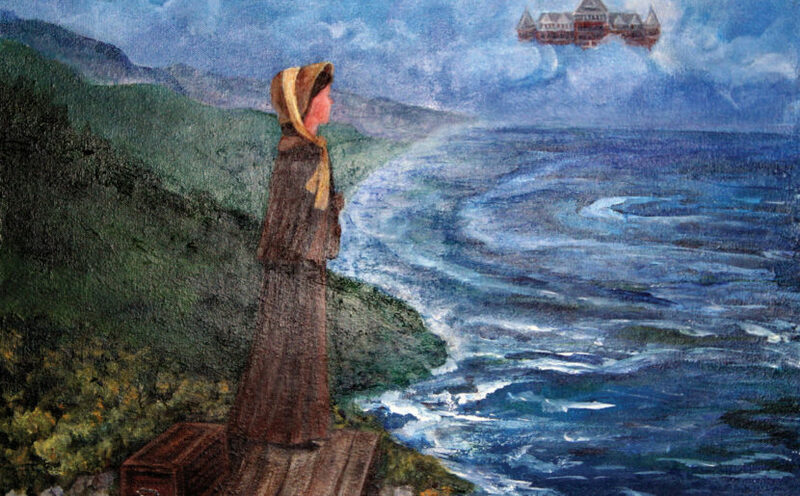 As a way to bring the Ireland pilgrimage to a close, Mary Ann Zollmann, BVM wrote a letter imagining what BVM Foundress Mary Frances Clarke would say if she were present today. Below is an excerpt of the message shared on the final day. As I think about the heritage I unearthed on this my homeland’s holy ground, I see that heritage alive in each and all of you. I see it as you move into your own unknown future and unchartered landscape of religious life and of university education. I see it in your own passion to be true to yourselves and true to the will of God for you. I see it in your conviction about the necessity of your mission for the flourishing of our world and in your deepening surrender of all that is outworn and superficial for the sake of that mission. I see it in the intentionality with which you insist on creating a community embracing diverse relationships as essential to the cultivation of wisdom. I see it in your determination, both in the BVM community and at Clarke, to live church uniquely, lovingly, convinced of the goodness of God in everyone everywhere, and of your responsibility to evoke that goodness where it may be hidden or latent. I see it in you women competent in leadership, outstanding in intelligence, fearless in compassion—and in you men who exude those same qualities. Most of all, I see it in your love for one another. All that is left for us is to thank God much for God’s blessings these days and to promise our love always in return. BVMs Teri Hadro and Kate Hendel visit Nha Trang to join in celebration. Group explores where five women answered the call. 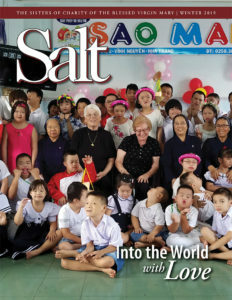 When BVMs Teri Hadro and Kate Hendel visited the Sisters of the Immaculate Heart of Mary in Vietnam, they brought with them 185 years of rich BVM heritage and a message of friendship that echoed the words of BVM Foundress Mary Frances Clarke, “Where one BVM is, all BVMs are.” In this issue, discover ways the BVM Legacy of Love continues to grow throughout the world.